Rachel Grant is a professional archaeologist and four-time Golden Heart® finalist, a writer of contemporary romantic suspense with “archaeological and historical storylines”. 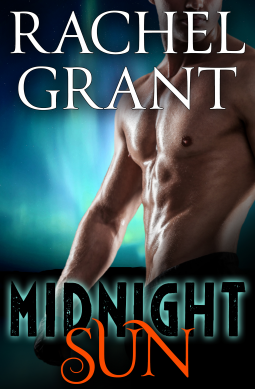 When I was asked to read Ms. Grant’s Midnight Sun I was excitedly looking forward to reading a story filled with Iñupiat history, characters and the landscape of the lands of the Midnight Sun. I was disappointed. It isn’t a bad book. Standard “contemporary romantic suspense” – girl meets boy, boy saves girl, HEA the end. I expected more from a trained archeologist. Quite a bit more. Heck, even meeting some of the actual Iñupiat people would have been nice. The concept was good, and had great potential. An ancient mask pushes a museumologist to return it to Alaska to its Iñupiat tribe from which it was stolen. The magical and the ghostly is there, but otherwise the book didn’t really grab me – in all likelihood because I expected more based upon Rachel Grant’s training. Of course, now that I look at the cover, I don’t know why I am surprised. Sigh. Not a bad book, just nothing special. I received this book from the publisher in exchange for a realistic review. All thoughts are my own. Tbh, I wouldn’t have went near that cover, personally. I’m not a boy-meets-girl, problems arise, problems resolved, HEA person at all! As you say, you’d expect someone with such impressive qualifications to do something a bit more exciting…better luck next book! And that cover… well, that torso does look quiet oily, doesn’t it? 🙂 I just don’t see what it has to do with Alaska, Iñupiat tribe, museumologist, and an ancient mask. I am not familiar with the Ainu – will have to check it out! Such a shame! How can we have a variety of books if authors don’t draw on their various experiences? Honestly, how many professional archaeologists write novels? Actually, I do have an underground mine zombies idea floating in my head… maybe it’s time to ‘dig’ that one out. There ya go! I adore it when writers use their knowledge to add depth and dimension to their writing. Have you read Natasha Mostert? No, I haven’t, but I just googled her and she writes the sort of thing I might like. You like her then?